Samsung Electronics Co. Ltd today released three new Mobile WiMAX (WiBro in Korea) devices – a WiBro smart phone -SPH-M8100- a top of the range multimedia convergence device -SPH-P9000, a USB Dongle -SPH-H1200 and a PCMCIA card. Samsung’s P9000 is a convergence device, capable of providing voice and multimedia data communications via WiBro. The P9000 comes with a full QWERTY keyboard for quick typing and surfing, while the MP3 player, VOD, and camera functions provide easy access to a myriad of multimedia entertainment. In addition, the Samsung P9000 acts as a multi-functional terminal that can be used as a general PC, thanks to its Windows XP-based operating system. Samsung’s SPH-M8100 is a PDA WiBro smart phone which offers wireless Internet, voice telephony and video telephony services through WiBro and CDMA 1x EV-DO. The slider phone boasts a 2.8″ color touch screen display, a TV-out, an MMC card slot, and 2 cameras; a 2 megapixel camera and a VGA camera for video calls. 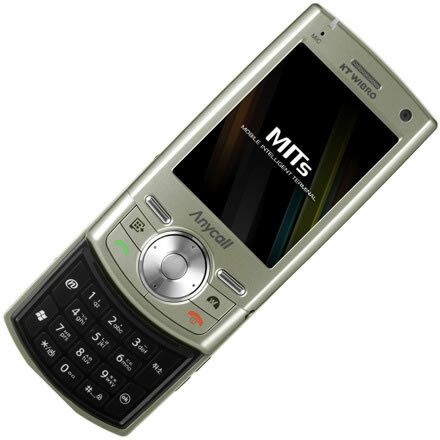 Samsung’s M8100 also features T-DMB, Bluetooth with A2DP functionality, 128ROM/64MB RAM memory and Microsoft’s latest view and edit function. 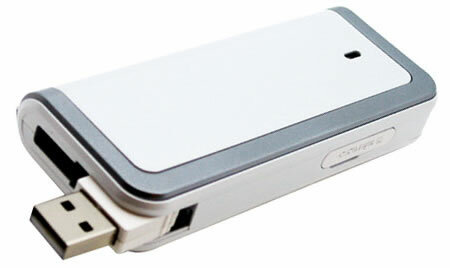 Samsung’s WiBro USB Dongle allows users to access both WiBro and HSDPA services via an external peripheral device that connects to a USB port. For security purposes it ensures the use of a specific program can be accessed by authorized users only. Consumers in metropolitan areas can enjoy 13Mbps high-speed wireless Internet services at a more affordable price via WiBro. Users in less connected areas across the country can enjoy Wireless Internet services via HSDPA.With the launch of new WiBro devices users can now enjoy fast and affordable wireless internet services in the all regions of Seoul.